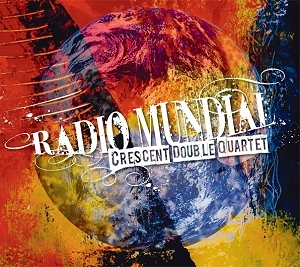 Diaa Bekheet | Washington, DC – Dutch saxophonist Aart van Bergen and his group, Crescent Double Quartet, present their debut album “Radio Mundial,” a mix of Jazz, Pop, classical and World Music. Radio Mundial has 13 songs inspired by places, folk tales, travels and music from all around the world: from the Sahara desert in North Africa to the Mayan temples in the Guatemalan jungle; from Japanese anime to Hindustani classical music. The idea behind the album says Van Bergen, is to create and play a versatile repertoire of new music that fits the 21st century and its globalization of music. The multi-national group will perform live at the De Badcuyp Centrum voor Muziek in Amsterdam on October 13 to officially launch the album. Then, it will launch its Netherlands-wide tour of concerts in autumn as it gears up a larger whirlwind international tour next year. The quartet plays new music written specially for this uncommon instrumentation by Dutch saxophonist Aart van Bergen and Turkish pianist Kaan Biyikoglu. Aart Van Bergen studied world music: jazz, pop, contemporary expressions of music, Western classical music, music cognition, theory of music, and cultural musicology. He graduated from the University of Amsterdam in 2007 with a bachelor’s degree in Musicology. His thesis ‘Freedom and Limits of Jazz Improvisation’ posed the question of how free and limited the jazz improviser is in his music. He was invited to present his thesis at the ICT Sangeet Musicology Conference in Bombay, India. 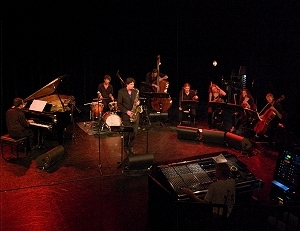 In 2009, van Bergen founded his first band, “Aart van Bergen Sextet,” and released his first CD. Three years earlier, in 2006, he had another group called “Starlight Jazz Trio.” It still exists and it plays traditional jazz in the trandition of American jazz icons John Coltrane, Miles Davis, Lester Young and Hank Mobley.